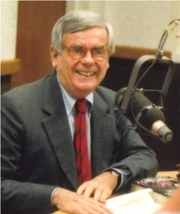 Dominick Dunne has 1 media appearance. Born into a wealthy family, Dominick Dunne had a high-powered career in the movie/TV industry and wrote bestselling novels about the privileged and glamorous society in which he moved. However, his greatest passion was for his work as an investigative crime journalist. It began when his daughter Dominique was murdered in 1982. Dunne attended the killer's trial and wrote about it for Vanity Fair. He then went on to cover more criminal cases, many of them involving celebrities. His empathy for the victims and desire for justice were hallmarks of his work. Dominick Dunne is currently considered a "single author." If one or more works are by a distinct, homonymous authors, go ahead and split the author. Dominick Dunne is composed of 12 names. You can examine and separate out names.